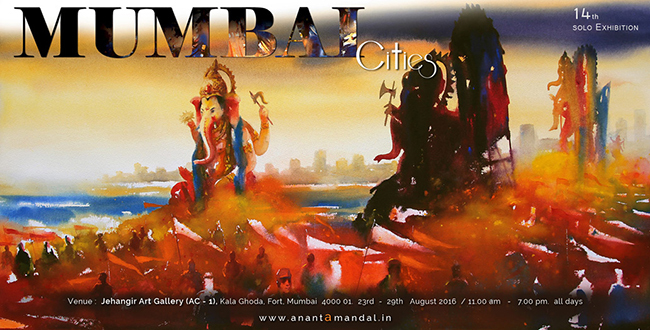 Ananta is an International contemporary artist based in Mumbai, India. 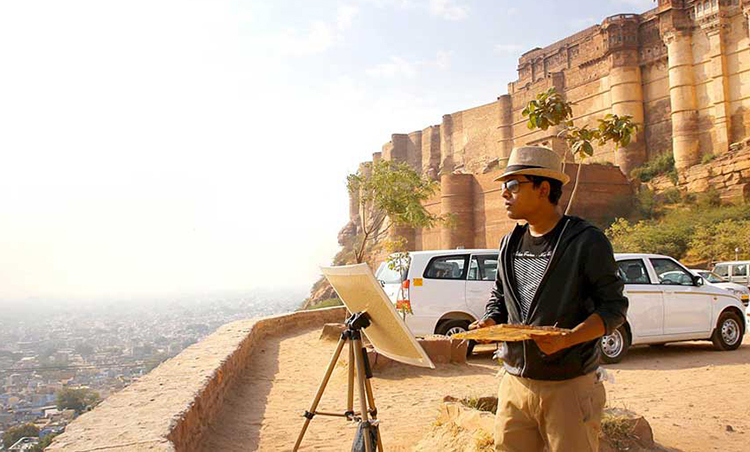 He has a bachelor degree in Visual Arts from Govt. College of Art & Craft, Calcutta (Kolkata) University. He has more national and international awards than his age in number. 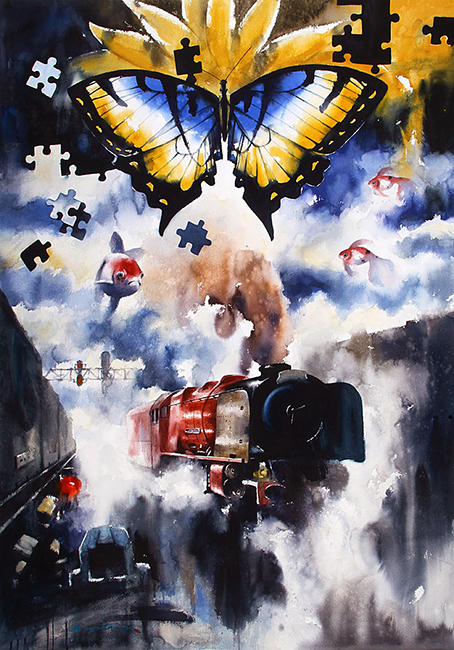 Although he works with different mediums, he is mostly well-known for his watercolors. 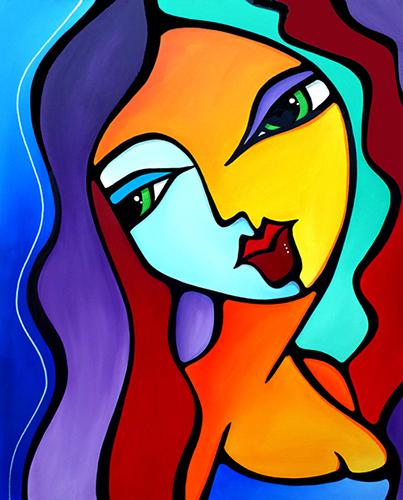 His paintings take another level of art forms with his dedication to the endeavors of achieving the results he desires. 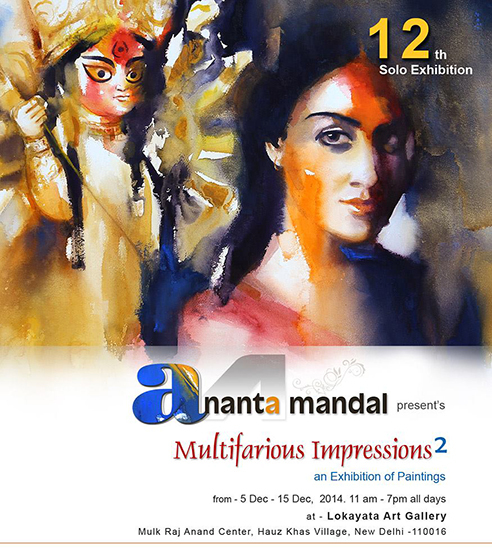 Ananta has an incredible sense of composition and attention to details. His interplay of light and shade produce a stunning effect in his artwork. His impressions of busy street scenes, city life, railway steam engines, tropical deserts, beaches and even sand dunes, turn into attractive spaces in the frame of his paintings. 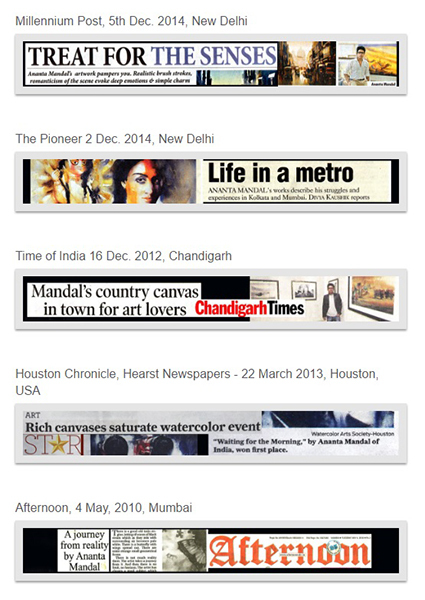 He has exhibited in numerous group shows and solo exhibitions worldwide. 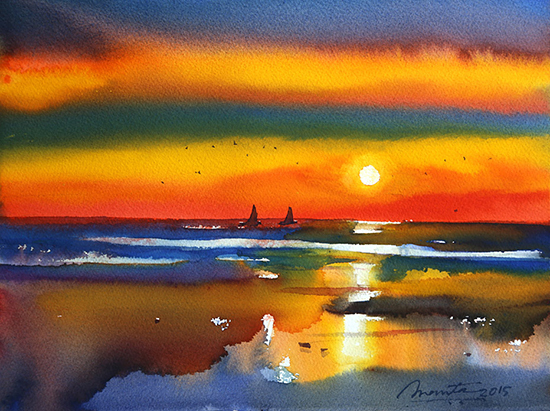 Additionally, he has received many national and international awards, including the First Place Award from 36th International Exhibition at the Watercolor Art Society-Houston, US ~ 2013, The Winsor & Newton Excellence Award from Northwest Watercolor Society, USA ~ 2012, AIFACS Award – 14th all India Watercolor Exhibition, among many others. 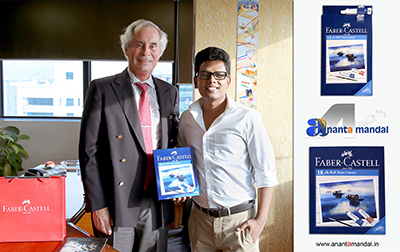 In 2016, Ananta was invited by Faber Castell to test their new watercolors. His painting is featured in the front cover of their new set of watercolors. 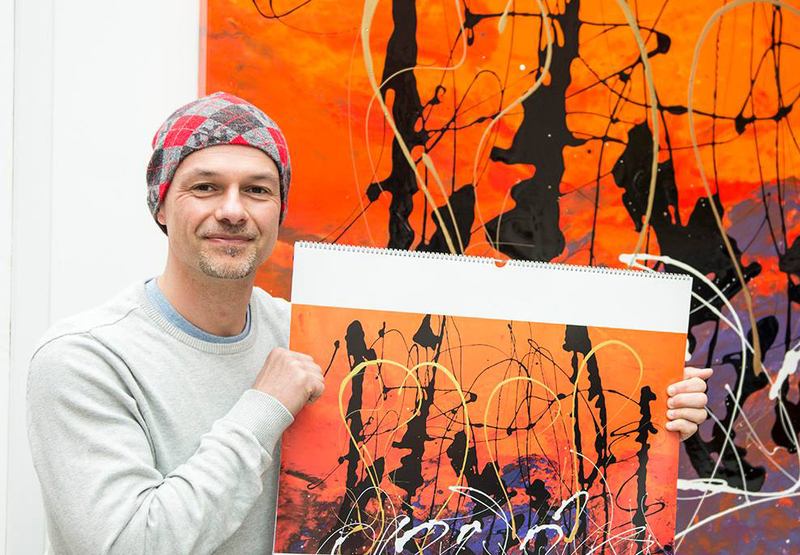 His work can be found in many corporate art collections and private collectors worldwide.